Gigi is a 1 1/2 yr old female DSH. GiGi is an active and energetic cat. She needs a home where she can get plenty of exercise that she needs. GiGi has not shown an interest in the other cats but might be okay living in a home with cats, or just as an only cat. 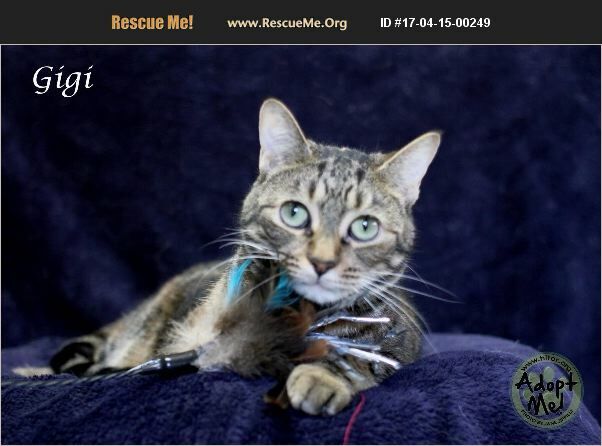 GiGi needs an adult only home with adopters who have had experience owning cats.